Sweden needs to hire 124,000 new public sector workers by 2025 to keep up with the country's growing - and ageing - population, a new report warns. 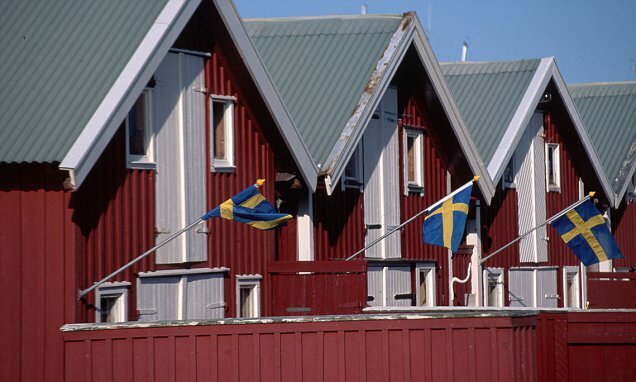 The Swedish work force is estimated to increase by 207,000 in the next seven years, of which 60 per cent would need to enter the public sector in order to maintain the welfare state. Sweden is known to have one of the highest taxes in the West, with its population benefiting from national healthcare, free primary and university education and heavily subsidized care for the elderly. The public sector is the biggest employer in Sweden, however, due to the projected demographic changes in the country, it now requires more workers. The annual report from the Swedish Association of Local Authorities and Regions (SKL) found that the lack of public sector workers will eventually put the country's world-famous welfare state at risk. To keep the current level of service provision, the Swedish public sector needs an additional 124,000 workers by 2025. This would mean 60 per cent of the total workforce increase - estimated at 207,000 people.